Well, I just shot somebody's two german shepard dogs that were prowling around my mom's stupid goat fence. My mom had been having a problem with dogs getting inside the fence and killing one goat every morning for the past week. They killed five goats until we finally got the fence barb-wired up and rocks placed around the fence so they couldn't dig under it. This morning, about four days without a goat getting killed and we saw the two dogs eyeing the goats on our property. 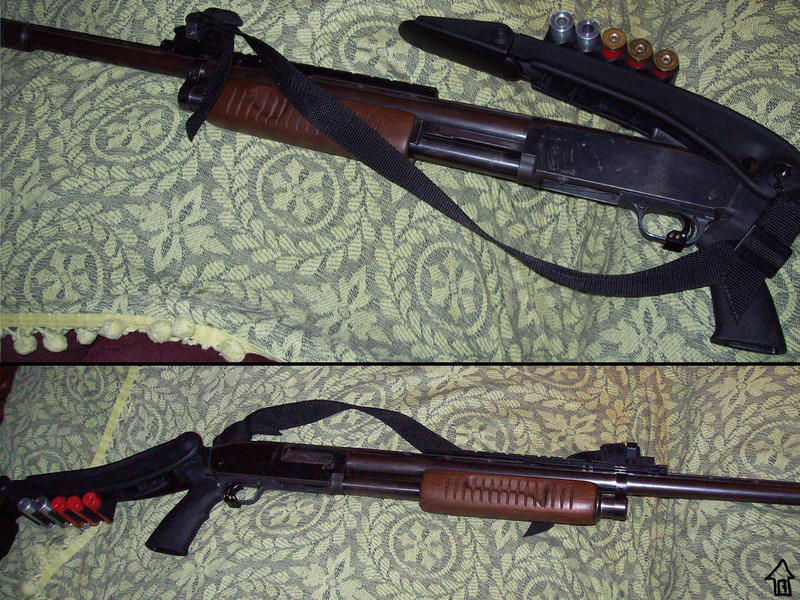 I quickly ran to my room, grabbed my trusty 12 gauge and some hearing protection and ran down to the goat pen. The dogs ran off into the creek and I followed them. I fired one round of buckshot at about 50 yards but I think the shot went low. I ran through the brush to get closer and fired another round at 15 yards and hit it that time. I heard a horrible yelping sound and saw him limp away. I can only assume he wandered off and died somewhere, or it could have been a fleshwound. Hopefully it died right on the porch of the owner's house so they'll get the message. I doubt assholes who let their dogs run loose care enough to take their animal to the veterinarian. I admit I wanted to kill something just for the thrill of killing stuff, but now I felt really awful about shooting that dog. The second one ran back close to the goat entrance, noticed me again, then started running back to the neighbor's. I didn't shoot him immediately. I let him run right past me before I decided to unload a couple rounds of birdshot on him at 10 yards. I figured at that range birdshot won't kill him, just teach him a lesson. The first shot didn't seem to have any effect, but the second round caused him to stumble, limp a few paces, then continue running full speed. I think he'll be alright, I hope. Goats are such stupid, soulless animals. I don't have any problems with killing goats, deer, cats, or certain types of human scum. 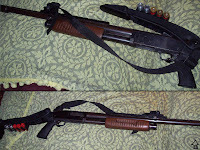 Not that I've ever shot the latter three (I really want to, though! ), but I did have to dispatch my mom's goat last year because it had his throat ripped open by a pitbull and it couldn't swallow. 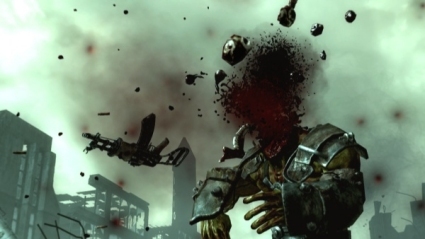 I used buckshot directly on his skull and it exploded exactly like you'd see in Fallout 3. It was awesome. Shooting a dog, on the other hand, I have qualms about. I took the time to build a fence for my dog so she wouldn't attack the neighbor's livestock (or people), I hope my jerkwad neighbors do the same for theirs when (or if) they get new dogs.